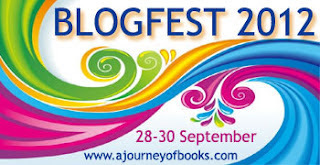 It's time for the Blog Fest! I love this time of year because I get to visit so many cool new blogs. Now. You can get involved. How? :-)I'd love it if you followed me on twitter, facebook, the blog and sign up for my newsletter. Leave your name, email and a comment as well. What do you get for your trouble? Your name entered in the hat for a PDF from my backlist! Yeah! So happy commenting. Hi Wendy, I really want to read My Immortal. I follow you on FB, Twitter and email. Thx for hopping. Oh! I hope the PDF is full of romance! Thanks for the giveaway and for participating in BlogFest! Thank you for joining the blog hop, Wendy! Love your books and would love one from your backlist! Love stopping by! Thanks for being on the hop! Long time stalker...um follower. Hi! Thank you for the awesome giveaway and fun hop! And the winner is... Redheaded Bookworm!! Congrats! And thank you to all those who commented and stopped by! I hope you'll continue on this fantastic journey with me!